(Nominated for 2 Academy Awards: Best Actress/Sissy Spacek; Best Supporting Actress/Piper Laurie) The first of Hollywood's many Stephen King adaptations, Brian De Palma's "absolutely spellbinding" (Roger Ebert) 1976 film has lost none of its power to captivate and shock audiences. 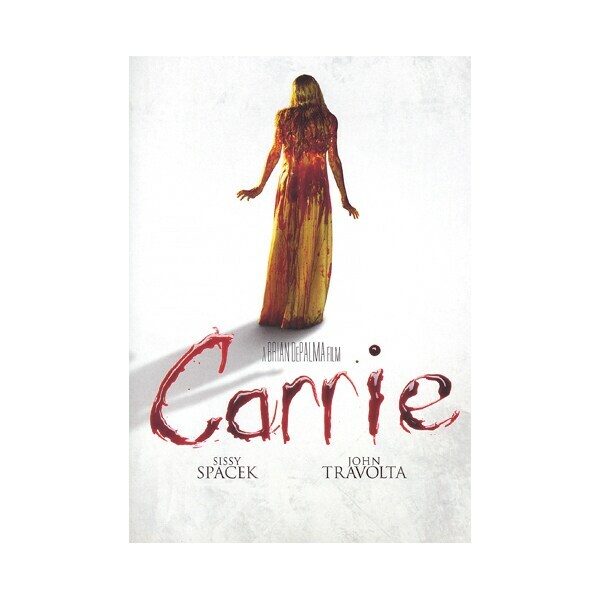 Shy and often bullied, high school student Carrie White (Sissy Spacek) discovers that she can move objects with her mind, putting her at odds with her fanatically religious mother (Piper Laurie) and many of her classmates. John Travolta and Nancy Allen co-star as students plotting a terrifying downfall for Carrie at the prom, not realizing that it may trigger a devastating response. DVD extras include two making-of segments, as well as featurettes on Stephen King and on the 1988 Broadway musical adaptation of Carrie.